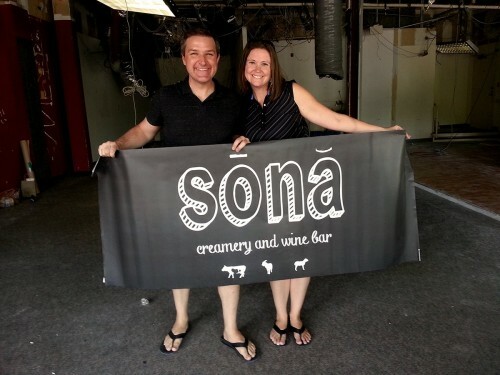 Just as Sona Creamery finally got through all of the regulatory hurdles to make and sell their own cheese, they have announced that they can no longer keep the restaurant open. Had that extra revenue stream started up earlier, things may be different. We are sad to announce we will be closing our doors Monday, April 11, 2016. After 3 years of working the regulatory chain to get raw milk in the District, and become the first cheese creamery, we were paying rent for space that wasn’t supporting itself. Unfortunately, this has made it impossible to remain open. Even though Sona’s concept took too long to fully implement, we are proud of what we were able to accomplish. We are grateful for the memories and wonderful people we met along this journey. Thank you for all of your support. It was just a week ago that I swung by for some of their fresh made goat cheese to take with me to a party. The owners were telling me that they were in talks with Whole Foods and other retailers to sell their cheese in stores around the city. I’m so sad to see DC’s first official creamery close its doors. Thank you, Conan and Genevive, for all of the great meals and for being such a wonderful part of the community! Come back soon! I really wish there was a local economic development commission that could help find ways to obtain reasonable rents for places like this. These types of businesses improve the area. Without lower rents and other incentives, we are going to see more and more convenience stores and cell-phone stores.